August 30 - Sept 2, 2019. 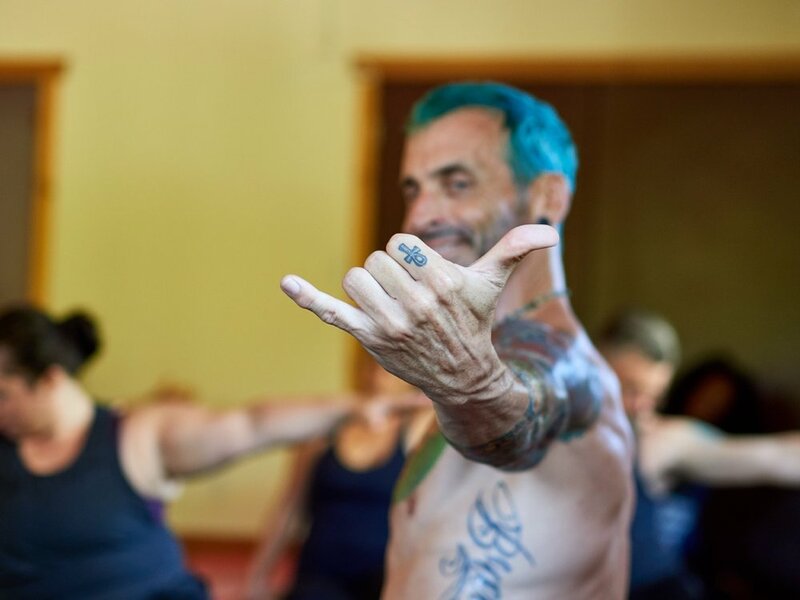 RAD Yoga Surf Retreats began in Tofino in 2009, created by Risto Duggan who wanted an action-packed getaway in a beautiful location, with like minded people and awesome food! In 2015 Erin Jacob and Jim Heppner joined the RAD Team bringing Acro Yoga and Therapeutic Yoga to Risto’s already amazing retreats. It was the perfect addition, creating a feeling of community, bringing people together, and adding a bunch of fun! The energy that Risto, Erin, and Jim create together at these events is second to none! 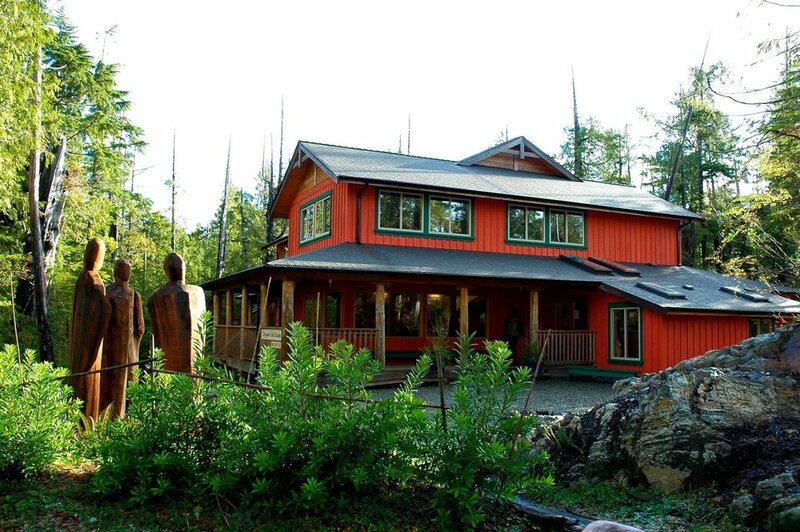 The 10th annual Tofino RAD Yoga Surf Retreat packs a ton of goodness into just three days! 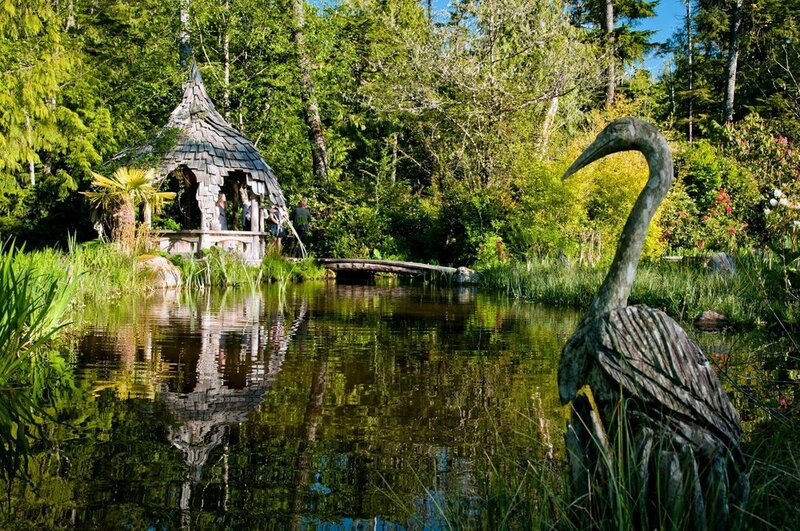 8 Locally Sourced Seasonally Inspired Vegetarian Feasts by hOMe Grown Catering, 8 yoga classes, 3 nights accommodation at the Tofino Botanical Gardens and Ecolodge,and 2 days of surfing at Long Beach with Relic Surf Shop. You'll get a strong morning practice ( Rocket/ Ashtanga ), workshop inversions, try Acro-Yoga, and experience evening Yin classes with live music. It's a refreshing way to spend labour day weekend in Canada's Pacific playground paradise. Morning Practice: Risto began teaching in 2007. He has evolved from Power to Flow to Rocket / Ashtanga and Yin. The morning practice is Rocket / Ashtanga .... Very alignment based, strong, healing “all levels” practice. Acro Yoga: Erin and Jim make the Acro classes enjoyable, hilarious, and so very safe. The Acro usually surprises people. Many patrons leave blown away at how much they loved the Acro, and can’t wait to find a class so they can come back with new skills. Yin Yoga: Risto has had a lot of broken bones, from his previous sporting life and learned a ton of healing techniques. His Yin classes are very healing and the perfect compliment to the strong morning practice. Therapeutic Yoga: Erin is a Therapeutic Yoga Master and is always available for privates or just healing advice. 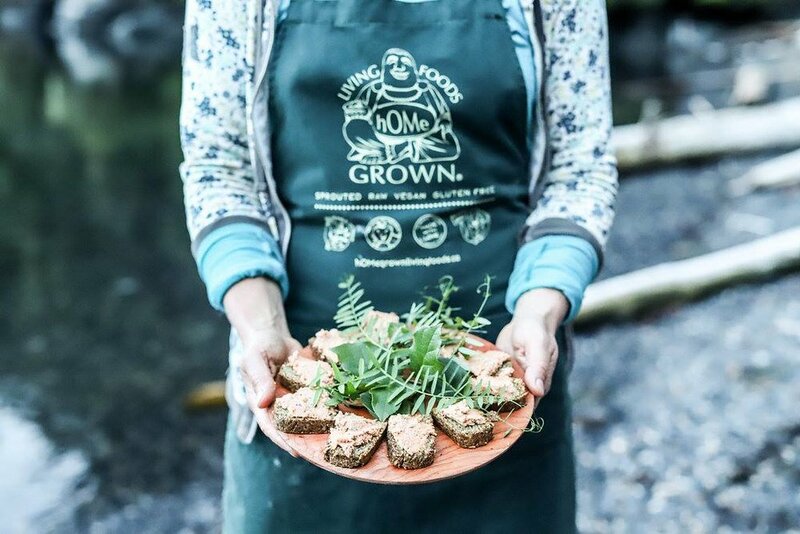 Shani Cranston of Home Grown Living Foods serves up Locally Sourced Seasonally Inspired Vegetarian Feasts by hOMe Grown Catering. At hOMe we believe in the Power of Food as medicine and offer the most Bio Available, plant-based, nutrient-dense snacks with NO added or refined sugar or preservatives. Just 100% Farm 2 Shelf Whole Food Nourishment from our hOMe to yours. if you pay the full amount by June 15th! $200 non refundable deposit can hold your spot. Balance to be paid by August 1st or before. Risto is a physical power yoga teacher with a positive vibe. His yoga practice has helped him recover from a lot of damage and broken bones. A former multi-sport athlete / coach, dancer, and actor. Risto keeps it funky, flowing and strong! He credits his training to Eoin Finn, Dustin Fruson, Geoff Mackenzie, Ryan Leier, Natalie Rousseau, Christine Price-Clarke, Jolene Bayda, Slava Goloubov and Danny Paradise. Risto teaches power, rocket, ashtanga, and yin. He focuses on alignment, bandhas, breath and growing together. A full time teacher since 2007 in Vancouver, B.C, Risto is known for his positive vibe, building strength, and funky classes. Erin has been studying yoga for 15 years, and founded Centered Within Yoga in 2008. She is an E-RYT500 specializing in Therapeutic Care. She found her passion in teaching others about the healing powers which exist inherently within us all. She enjoys Acro-Yoga and the chance to have some fun connecting, laughing, and enjoying time spent with her community. Jim began his movement practice in the world of traditional martial arts. After training and teaching for 20 years he found his love for yoga after attending his first Acro class. Before long he found himself addicted to yoga and having all kinds of fun. He completed his RYT200, Acro, & Rocket Yoga teacher trainings. Jim’s great sense of humor, enthusiasm, and attention to detail make his class an experience like no other. FEEL FREE TO CONTACT US WITH ANY QUESTIONS YOU MAY HAVE OR TO MAKE PAYMENT ARRANGEMENTS FOR YOUR REGISTRATION. ROOMS WILL BE BOOKED ON A FIRST COME FIRST SERVE BASIS, SO PLEASE REGISTER EARLY TO AVOID DISAPPOINTMENT.